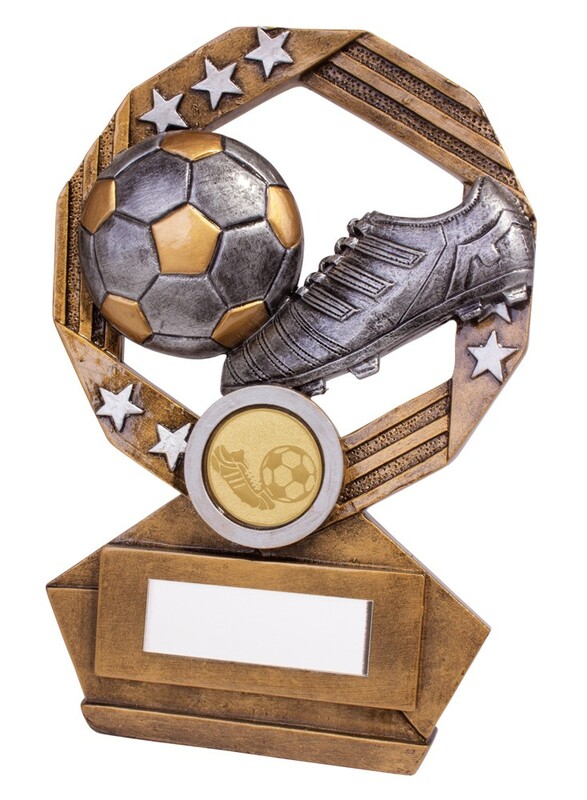 Resin Enigma Football Boot and Ball Award. Available in 3 sizes, 120mm, 140mm and 155mm high. Antique gold with silver highlight. A great detailed award.